Strategic pintucks accentuate the figure-forming silhouette of an elegant, floor-pooling gown with semi-sheer lace at the skirt, sides and back. 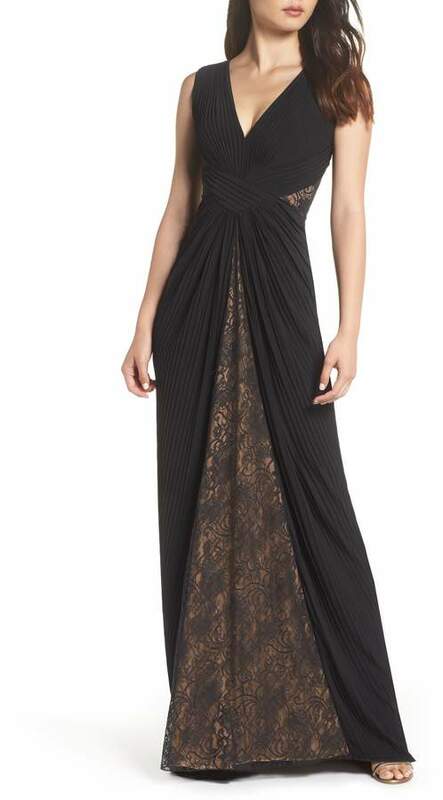 Style Name:Tadashi Shoji Pintuck & Lace Gown. Style Number: 5655431. Available in stores.